BLOX Racing is pleased to introduce its new forged Ti lug nut sets. 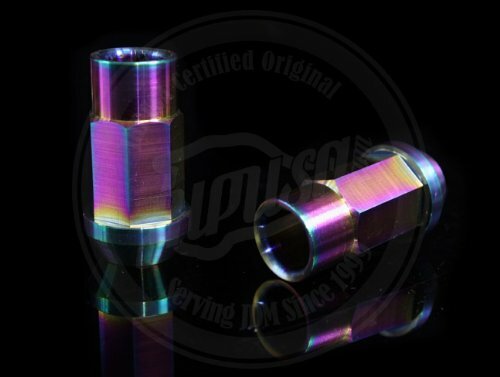 These new 7-sided lug nuts are forged from high quality titanium then machined to precise thread pitch specifications. Each is then heat treated to provide its burnt appearance. The new 7-sided lug nuts offer a unique shape, but more importantly, makes it more difficult for would-be thieves from stealing lugs - or worse - wheels. Special SepTi socket is included with lug nut sets.